Pop & Shop for our Birthday! It's our birthday, and we're giving you the gift! 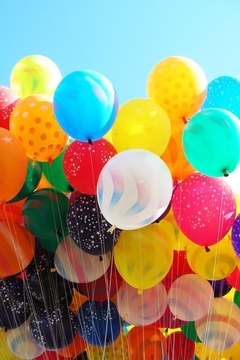 Pop a balloon to reveal your prize! They are loaded with discounts up to 40% off and $70 gift cards (for our 7th birthday)! Stop in anytime November 6th - 10th to pop and shop! Indulge in some of our delicious birthday cupcakes. We're even popping champagne, too! But what can the discounts even be used on? EVERYTHING retail price! No exclusions apply this birthday week.